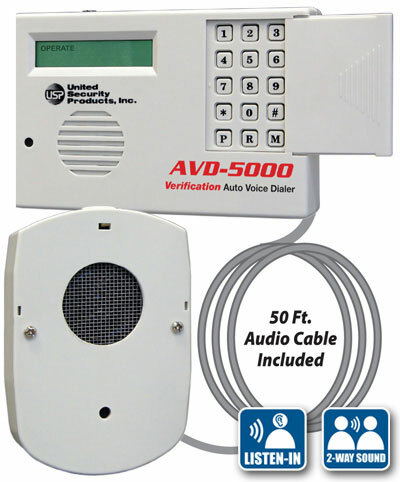 The AVD-5000 Auto Voice Dialer allows for “Listen-In” as well as “2-way Communication” modes. The high sensitivity microphone and speaker unit will allow the listener to hear sounds within the room or area and have a speaker phone conversation. Listen for footsteps, sounds and voices up to 70 feet from the dialer!